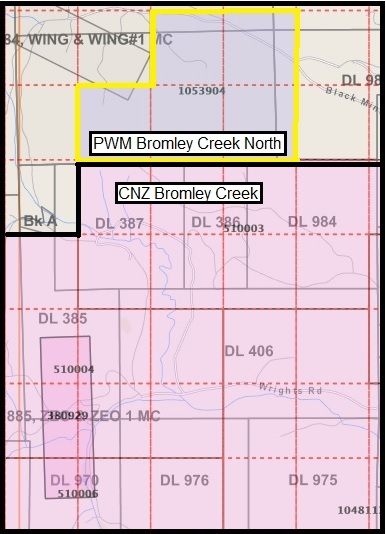 VANCOUVER, BRITISH COLUMBIA--(Marketwired - Aug. 16, 2017) - Power Metals Corp. ("Power Metals Corp." or the "Company") (TSX VENTURE:PWM)(FRANKFURT:OAA1) is pleased to announce that it has entered into an agreement (the "Agreement") to acquire the Bromley Creek North Zeolite Project, situated near Princeton, British Columbia. Power Metals Corp. is a diversified Canadian mining company with a mandate to explore, develop and acquire high quality mining projects. We are committed to building an arsenal of projects in both lithium and high-growth specialty metals and minerals, including zeolites. We see an unprecedented opportunity to supply the tremendous growth of the lithium battery and clean-technology industries. Learn more at www.powermetalscorp.com. About this company Power Metals Corp.